Inspired by the Kathy Ireland Home Americana Style Guide, Huntington Club is a transitional furniture design with a vibrant cherry finish on hardwood solids and veneers. Vertical fluting, dentil molding and light distressing add character and aesthetic appeal. Huntington Club is a great addition to any home and will surely last for generations to come. 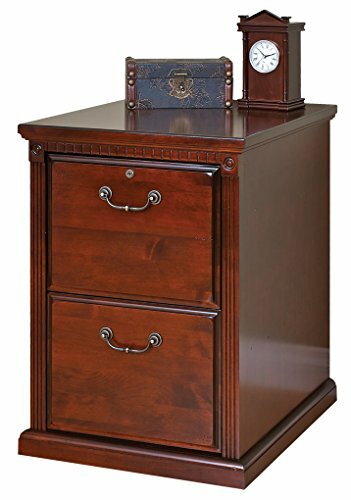 The file pedestal features two letter/legal sized file drawers and the top drawer locks for extra security. Arrives fully assembled.